Where to buy near me? Can it really help with hair growth? How about irritable bowel syndrome? Rather than help, maybe you’ve heard it can hurt those pesky spiders, mice, rats, and roaches around you home. This essential oil does have a lot interesting things going for it, but what you are reading elsewhere may not always be true. 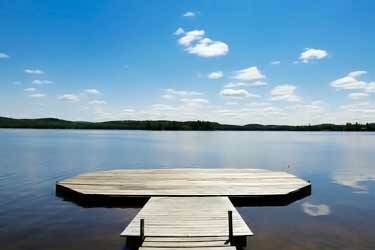 In fact, some places appear to intentionally be giving you a glass half-full story. If you actually read that study, you will see they left out the most important part; there was also a 38% improvement for the placebo group (1). With that in context, the 50% doesn’t quite sound as impressive, right? However there is a lot of other research, which is much more compelling, about IBS and other digestive issues. More on those in a minute. Here’s a scientific review of what’s fact, fiction, and something in-between for each of the purported uses you may be hearing about. First though, let’s go over the basics to make sure we are all talking about the same thing. Essential oils are different than olive, coconut, and other cooking/culinary types. 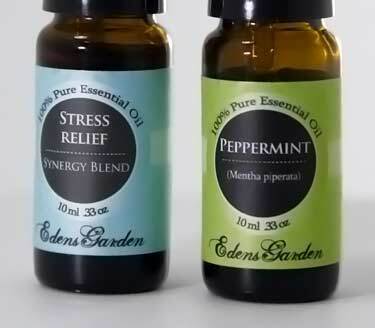 Brands like Young Living, Doterra, Edens Garden and others are selling what’s known as the “quintessential” compounds of a given plant. Technically known as aromatic volatile organic compounds, these are naturally found in very low concentrations. Often times a leaf, root, or fruit may only have 1% or less of these compounds. Steam distillation and other processes are needed to extract and concentrate these compounds. With peppermint essential oil, you are getting a highly concentrated form of the aromatic volatile organic compounds, or what many would refer to as the active ingredients, since it’s those compounds responsible for the scent, taste and certain biological effects. Even though it’s “essential” that word is often left off when describing this particular type. Peppermint oil is generally synonymous with peppermint essential oil. There’s no difference, as they both mean the same thing. 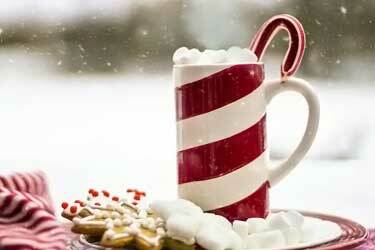 How you make candy canes and flavored lattes is by using the extract, not the oil. On the other hand, this is something entirely different. 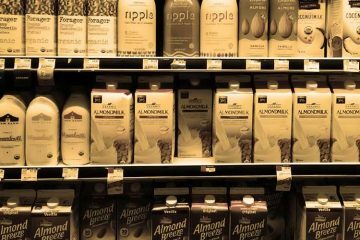 The extracts sold at sold at supermarkets like Kroger, Walmart, Meijer, and Ralphs are not essential. 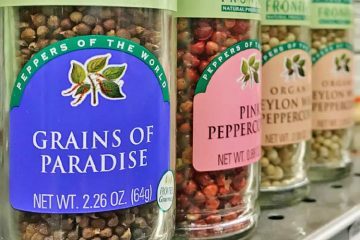 Those are a flavoring agent intended for culinary purposes, such as baking desserts and making candies. The peppermint leaves and stems are soaked in an alcohol or other solvent and that’s what you are getting. Basically, it’s a bottle of alcohol with microscopic parts of the plant that have dissolved in it. You can’t use the extract instead of oil. Yes, small amounts of the oil will be present in it, but it was not designed for aromatherapy or the other things people use essential oils for. Just because McCormick (or Wilton, Starwest Botanicals, Simply Organic, or another brand) lists the oil in the ingredients, that doesn’t mean it’s all the same volatile oils found in the essential version. To collect those, it might take more than simply soaking the leaves in alcohol. Steam distillation and other refinement methods may be necessary to get them all out of the plant. How can you tell the difference? The leaves of spearmint connect directly to the stalk, while peppermint leaves have quarter-inch stem. Aside from that, they look practically identical! They look and taste similar, but these are two very different things. 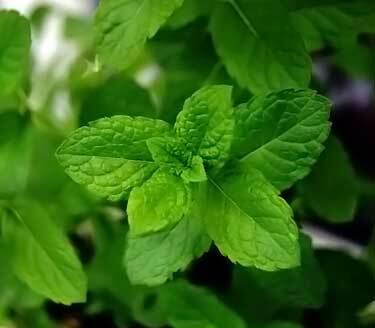 Spearmint (Mentha spicata) is a species in the same plant genus (Mentha). If you look up the scientific name of peppermint, you will see its Mentha × piperita. That’s because it’s a hybrid cross of both spearmint and watermint (Mentha aquatica) (2). The oil of peppermint has 6,800% more antioxidant content versus spearmint. It’s no surprise that the popularity of spearmint EO is dismal in comparison. The vast majority of the medical research doesn’t use it. Now that we’re all on the same page as to the definition, what is peppermint oil good for? 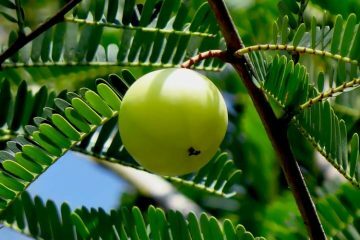 Cosmetics use it in sprays and lotions. Air diffusers for a room, or putting it under your nose to smell, are other ways it’s being used for aromatherapy. Aside from a dropper or roll-on for topical use, you can buy capsules and pills filled with this liquid for internal use. Whatever way you’re using it, does it actually work? 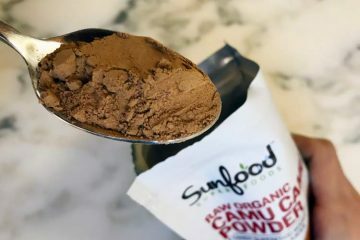 As with many home remedies and alternative medicines, drawing a line in the sand to prove something is often difficult. Because even if it did work for something, if it’s non-proprietary, there is little to no incentive to spend big bucks on FDA clinical trials to make it into a medicine. Still, that’s no excuse for the wildly exaggerated claims being made about it. In fact, some peppermint oil benefits are totally fabricated without even a shred of evidence to merely suggest their possibility. Here’s a rundown of ten things people are using it for and what type of science there is which might support that use, if any. Like we said, there are studies which suggest this as a possibility. It’s just not the 2007 study mentioned by that other website. Using peppermint oil capsules for IBS is not new idea. In fact, the very first clinical study you will find on PubMed about this EO is one that evaluates it for this disease (5). That was published in 1979. Five years later, there was a multicenter trial about it (6). Two years later (1986) a published paper said it “does not relieve the pain of irritable bowel syndrome” (7). So that’s the end of that, right? In the 3 decades since, a handful of studies have come out which have been both for and against it. There’s the 1988 double-blind and placebo controlled Danish study (8), the 1997 study (9), and another in 2001 involving similar enteric coated peppermint oil capsules for children with IBS (10). Getting a “D” grade doesn’t exactly put it on the honor roll. The previously mentioned 2007 study (1). A problem with that one is that the placebo group also did well. A 2013 study by a hospital in Bangladesh involved 65 patients who used a placebo or a peppermint oil, taken 3x per day, for their IBS (13). 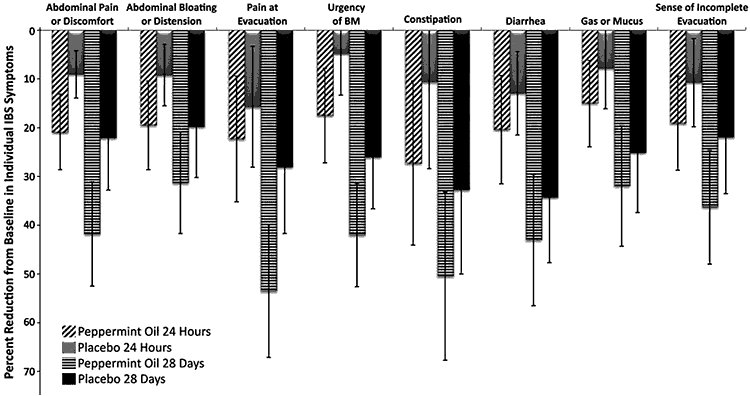 After 6 weeks of this regimen, it was observed that the abdominal pain was “markedly improved” for those getting the EO and the results were “statistically highly significant” (p>0.001). 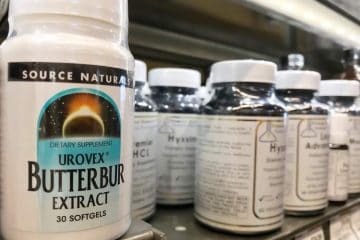 On a related note, there is one case report of the enteric-coated capsules allegedly helping a patient who has small intestinal bacterial overgrowth (SIBO), but it hasn’t been studied for that use (15). Perhaps the problem is that peppermint oil doesn’t work for all types of IBS. 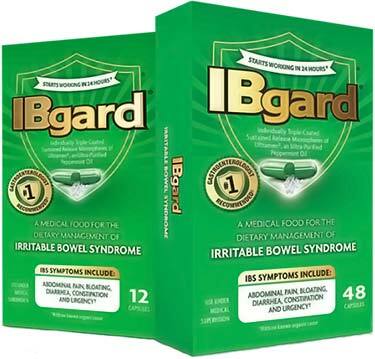 If it works, maybe it can only help specific forms, such as diarrhea predominant IBS as suggested by the 2013 study. The other swing factor may have to do with where the oil is being absorbed. The 2016 data would infer that some sort of coated delivery vehicle that gets it lower in the digestive tract – ideally the small intestine – might work better than pure essential peppermint oil that is being diluted and drank in a glass of water. It’s far too early to claim anything is “proven” when it comes to being an IBS treatment. However there is a fair amount of data to suggest it might be for real. You can get IBgard capsules on Amazon which use sustained release microspheres, but please understand that is a dietary supplement only. It is not a medicine for IBS or any other disease. While we’re on the topic of pooping, naturally this is the next one to talk about. You will see bloggers offering instructions on how to use peppermint oil for diarrhea. The most common method involves using a roll-on or 4 to 6 drop of the oil, applied to the naval of the abdomen. Then, rubbing it into that that skin for 15 to 30 seconds. That is some of the most ridiculous advice you will ever hear. Sure, your skin may absorb it, but that’s a far cry from your digestive tract! Between those two things you have a lot of stuff… subcutaneous (surface) belly fat, then the abdominal muscles, and behind those is the visceral (deep) belly fat. Even if the peppermint does work, do you think it’s magically traveling through all of those layers to reach your stomach or intestines?! If it were being absorbed, the capillaries in your skin would be absorbing it and then it would no longer be localized. After that it would be flowing throughout your body’s circulatory system. There is some evidence it might help diarrhea, but it would require oral consumption and not a topical treatment on the skin. While there have been no clinical studies directly about this topic, if we turn back to the IBS research, there are clues to suggest it may slow down the digestive tract. 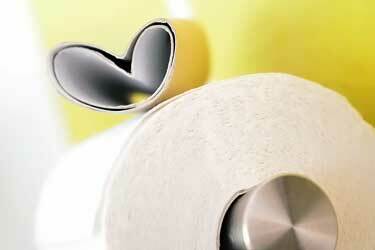 As you will recall, the most recent research suggests it may work best for IBS with diarrhea (IBS-D). Translated to plain English, they’re saying it slows down the digestive system and reduces appetite. It’s unclear whether being less hungry was caused by the slower emptying. That was a tiny study out of Belgium with only 13 people. Though if you overlay it with the similar clues given in the IBS studies, it does seem there might be a mechanism which benefits diarrhea. You should let diarrhea run its course, as that is the best way for the body to rid itself of whatever it needs to. You should treat acute diarrhea and traveler’s diarrhea, because the symptoms can interfere too much with living your life. There are solid arguments to be made for both sides. For those in favor of alleviating the side effects of diarrhea, then yes, it could be argued that peppermint might be beneficial. Keep in mind that treating symptoms is different than curing a root cause. While it is true that compounds in the oil offer some antibacterial advantages in the lab, there’s no research to suggest it does that in the human digestive tract, nor that it’s powerful enough to help the actual problem of bacteria, if that were the cause of diarrhea (i.e. food poisoning). If you have motility issues or gastroparesis, then peppermint oil is bad for you to use orally. 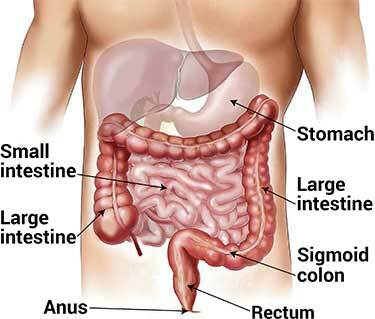 That includes those with chronic intestinal pseudo-obstruction (CIP), adhesions, impaired intestinal circulation (ischemic colitis), and small intestinal bacterial overgrowth (SIBO). Why? Because with all of these diseases, a part of your digestive system is already slower than it should be. Even though this effect from the oil is not proven, anything which possibly might slow down digestion even further is probably not healthy for you to gamble with. Pain and constipation could result. Anyone who has Crohn’s disease, celiac/gluten sensitivity, or lactose intolerance should exercise extreme caution, too. Slowing things down may be a bad thing for these diseases as well. Now that we’ve thoroughly addressed pooping, let’s talk about the digestive issues which happen long before that. Is peppermint tea good for heartburn and acid reflux? It has been touted as an herbal remedy for indigestion, but those tea blends are often in combination with other herbs and spices, like caraway and fennel. Since tea contains the peppermint leaves, inevitably there will be some essential oil present, but not much. That study suggests that peppermint tea is actually bad for heartburn, if you drink it daily (17). Now that was a questionnaire of what people ate and drank, which is quite different from a controlled clinical evaluation. Unfortunately, no studies exist for heartburn, neither for the tea or the oil. Heartburn is only one symptom of indigestion (dyspepsia). Others include pain, premature fullness, nausea, burping, and bloating. 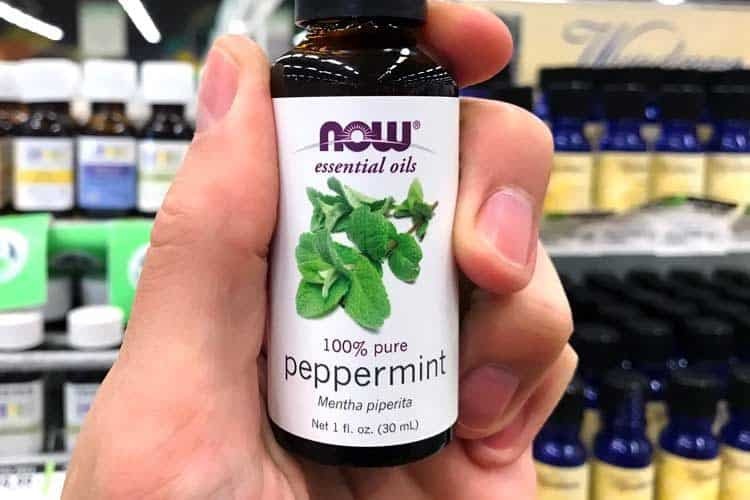 Conducted by Eastern Virginia Medical School and published in 2015, this group of researchers did an analysis of the clinical uses of peppermint oil which had been published up to that point (18). They’re saying it accelerates emptying of the stomach, while other research says it slows down the intestines which come after that. Those conclusions don’t contradict each other. What they suggest though is that it’s affecting the digestive tract in two different ways… speeding it up or slowing it down, depending on where it’s at. That’s a catch-22. 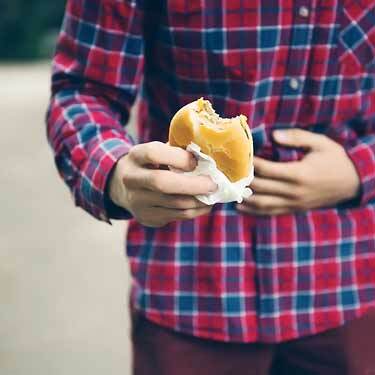 How can the stomach empty faster if the next stop – the small intestine – is blocked up? For many, having one area slowed while the other speeds may not be a problem, and the net effect may still be positive. Perhaps that’s why the research is so contradictory on this substance. Some digestive conditions may be helped by it, while others may be hindered. For digestive symptoms, Mentha-XL is sold as a dietary supplement. You can check it out on Amazon. 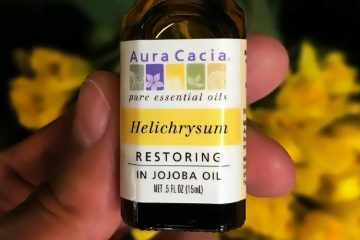 Using jojoba oil, castor oil, and peppermint oil for hair growth are ones you often hear about on home remedy websites. Some talk about how to make your own recipe, while others suggest ready-to-use shampoos and conditioners versus homemade. Obviously, solving baldness is not that simple! Admittedly, among all the things to do with peppermint oil, this one seemed the most likely to be a scam. After all, baldness is like the cosmetic equivalent of cancer… both are ailments with no good cure! Then for the first time ever, a hair growth study was published which suggests it might not be an old wives’ tale after all. Mice don’t have male pattern baldness and these were only 6 weeks old, so there was no reason they would yet have any age-related hair loss. Instead, what the researchers were looking at was the regrowth of hair (fur). Each mouse had its back shaved and then once per day (6 days per week), that skin was topically treated with one of the four treatments. After the first week, the peppermint oil for hair produced the best regrowth, even beating out the ingredient from Rogaine. When you look at the mice side by side, the differences are profound. That’s what they said, but keep in mind this the only peppermint oil hair growth study to date. Young mice and old men are two very different things. 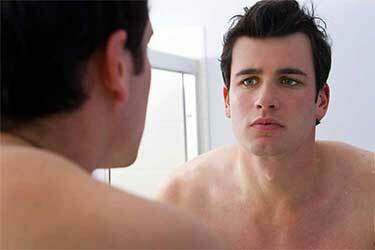 What causes male pattern baldness is hormonal and genetic. This causes a shorter anagen hair growth phase, resulting in thinner and shorter follicles. Keep in mind that stimulating the anagen phase in young mice is very different, as there are no hormonal abnormalities present. It’s far too early to claim hair growth benefits for humans. Even if it does work, it may turn out to help women more than men, since their reasons for hair loss are different. While not for hair loss, one of the most popular products on the market that people use for hair is by Dr. Bronner. It contains both organic peppermint oil and organic jojoba oil together. You can find this conditioner on Amazon. 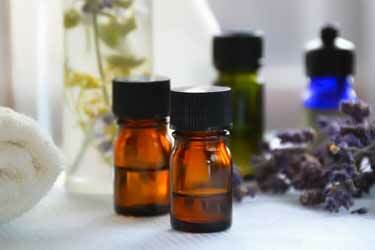 Aromatherapy has long been used as an alternative therapy to ease headaches and migraines. As to whether it’s something that helps the root cause, or rather distracts from the pain, is still up for debate. Placing a couple drops of the essential oil in the palm of their hand and rubbing together. Next, they cup their hands around their mouth and nose to inhale the fragrance for a few seconds. Using an essential oil diffuser, so the scent covers the entire room. Rubbing a few drops on the forehead. Before even getting into to whether or not it works, the forehead method does not mean the oil is soaking through your skin, crossing through your skull, and then entering your brain. That’s definitely not happening. Rather, the idea of putting it on the forehead is so the essential aroma is close to your nose. It offers you a more subtle way of breathing it in. There hasn’t been a lot of formal research for this benefit and for whatever reason, much of it comes out of Germany. In Germany, 10% peppermint solutions in ethanol are licensed for the treatment of tension headaches in adults and children age 6 years and above (22). That’s the bottom line. Outside of a little German research, this topic has very little concrete data to prove or disprove its use for tension headaches. When it comes to migraines, there’s only one study out of a university in Iran (24). Using its active ingredient, menthol, they did report success when compared to placebo in their 35 person test (80% women, 20% men). Aside from that, no one has clinically evaluated it for migraines. Published in a dentistry journal back in 2015, a review was done of essential oils and their potential use in the field (35). The ones they looked at were lavender, cinnamon, clove, lemon, eucalyptus, peppermint and tea tree oil. They reviewed all the related clinical studies and articles listed in PubMed (70 were relevant, 52 were considered good enough to include). Antibacterial against Staphylococci, which causes staph infections (28). 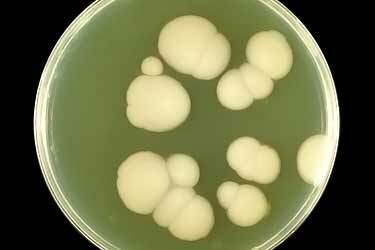 Antifungal against Candida albicans, which causes oral thrush and yeast infections of the mouth and elsewhere (36). Antibiofilm, for biofilms caused by Candida species (36). None of their cited sources were human studies, so it remains unknown as to how it might help us with oral hygiene. Mouthwash is probably too weak, but it would be interesting to see a study testing peppermint mouth spray or chewable tablets, to measure their effect. Any type of antibacterial or antifungal activity would probably help the hygiene of teeth and gums, but there is zero scientific data to even suggest peppermint oil for teeth whitening as a possibility. Home remedy websites report a laundry list of purported uses for it including eczema/skin rashes, jock itch, acne, wound care, and even deep wrinkles. Do any of these uses have a shred of evidence to support them? Indian researchers tested oils to see what protection they offered against the sun (26). They used fixed oils like olive, coconut, castor, and almond, as well as volatile (essential) including lavender, tulsi, orange, eucalyptus, rose, peppermint and tea tree oil. Using spectrophotometry, they calculated the amount of protection each would offer against UV light and found that peppermint performed the best among the essentials, with a theoretical SPF of 6.67. However a couple of the fixed did even better, with olive and coconut having SPF ratings of 7.54 and 7.12, respectively. If someone were wearing peppermint oil on face daily, in theory it might help with premature aging of the skin caused by UV damage. That may help with the prevention of fine lines and wrinkles, but it wouldn’t improve or reduce wrinkles already present. The effects of 25 different essential oils were tested in the lab against the fungus Trichosporon ovoides, which causes the hair and skin infection, piedra (27). Peppermint was in the top 5 best performers, with the others being cinnamon, citronella, eucalyptus, and tea tree oil. If someone had a scalp rash caused by that particular fungus, or perhaps a pubic hair itch masquerading as jock itch, then in theory it might offer some benefit. Though this is just a lab study and no human tests have been done for this or any other types of infections. When it comes to bacterial infections, there are only a few lab studies published which show it has antimicrobial activity (28) (29) (30). However they are not directly related to skin care or the infection of wounds. No one has tested it on the P. acnes bacteria which isn’t a primary cause of pimples, but it can make zits look more inflamed and red. Unlike some other essential oils, its antibacterial properties don’t appear to be broad spectrum. 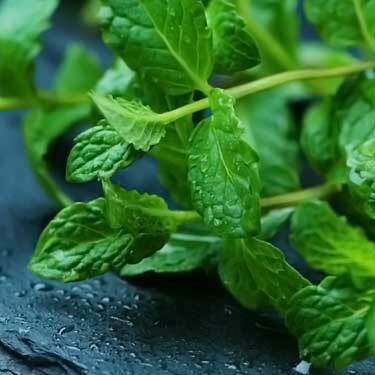 For example, peppermint “showed no antibacterial activity” against Streptococcus, which can cause many respiratory infections like strep throat, as well as others throughout the body (31). When it comes to larger parasites, research has found it to kill head lice, but it is not an approved treatment for that purpose (32). The most common cause of cold sores is the herpes simplex virus, type 1 (HSV-1). By the time we reach our 20’s, more than half of us are infected with this virus and after the initial outbreak, it can remain dormant for years. Triggers like stress and partying (alcohol and drugs) can cause a cold sore flare up, while others experience them for no apparent reason (33). The popularity of peppermint oil lip balm is for a different reason, because it tastes good. Though one lab study suggests it might offer another advantage… demonstrating inhibitory activity against both HSV-1 and HSV-2 (34). Both can cause mouth herpes (cold sores) and genital herpes, but herpes type 2 is more likely to cause it below the belt. For now though, that hypothesis is unproven. What works in a Petri dish is not the same thing as human clinical studies. There is a longstanding belief that using the oil can act as a rodent repellent. The theory is that the smell is confusing and overwhelming for their noses and they will stay away from wherever you spray it. 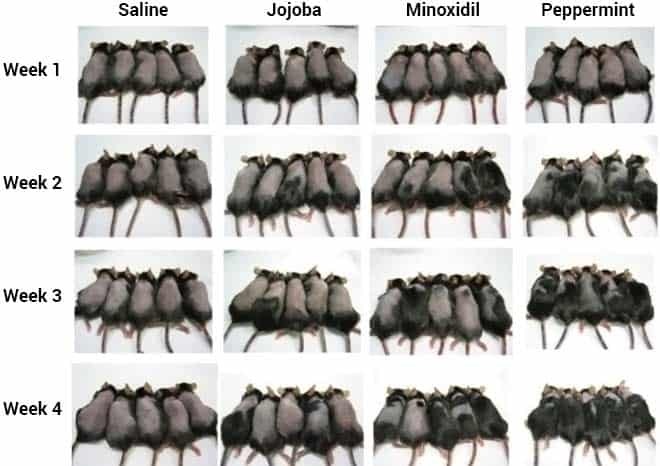 Using peppermint oil for rats or mice has not been formally tested. 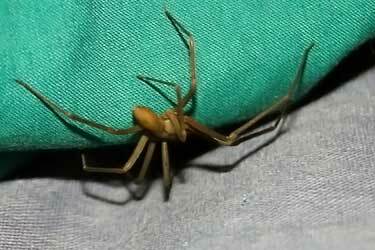 From an unscientific home remedy perspective, many claim it really does keep these critters away. Although it’s not proven, it does seem like a cheap, non-toxic and kid safe method that is at least worth trying, if you have a rodent problem. Dilute in a spray bottle, using 2 teaspoons of the essential oil for every 1 cup of water. 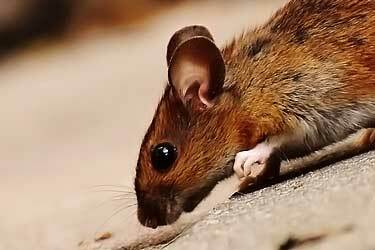 Spray in door openings, holes, and crevices you believe the rodents are using. Apply drops of the oil directly to same openings. Some recommend using a cotton ball to apply it, but that will be wasteful since the cotton will absorb much of the liquid. A dropper is the best way to use this oil. Many of best natural mosquito repellents on the market today make use of essential oils as their active ingredient. For this particular type, All Terrain Herbal Armor contains 2%. For over a decade, Burt’s Bees sold a repellent containing it. They discontinued it a couple years ago. Not because it didn’t work, but rather because it was a tough sell given what that brand is otherwise known for; cosmetics (we asked company to find out why they stopped selling it). Burt’s Bees is a multibillion dollar company (Clorox), so it definitely lends some credibility as to its use for repelling insects. Does peppermint oil repel spiders and ants? These seem to be the two insects you hear most about on those natural remedy blogs. Clorox marketed this product primarily for mosquitoes and flies, for when you’re wearing it. They never said it could help with daddy long legs or getting rid of ants around the house. Tested against spider mites (Acari: Tetranychidae). You can hardly see these guys, as they are less than 1 millimeter (0.04 in). 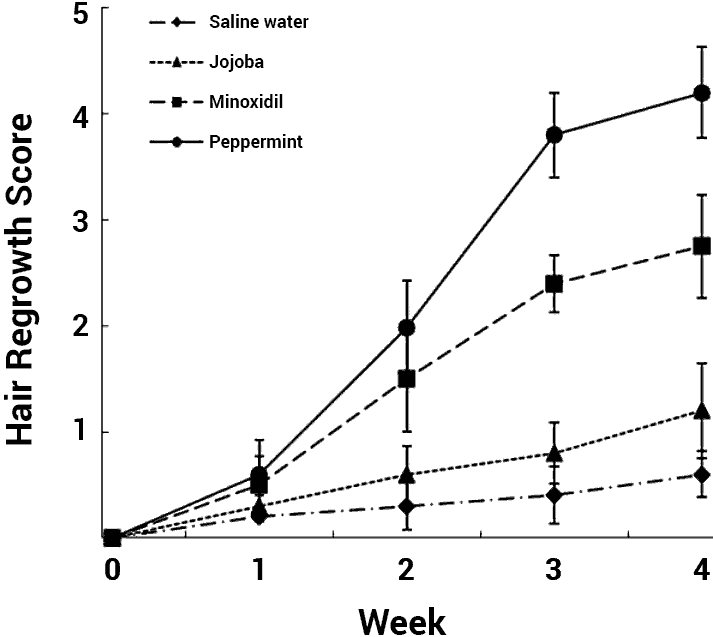 While peppermint was effective for the adult spider mites, citral oil performed better (37). Branded products containing it were tested against arthropods, which include spiders (38). Bug Assassin had more than an 80% kill rate. Its ingredients are eugenol, sodium lauryl sulfate, peppermint, and citronella oil. Given how many different types it contains, it’s impossible to say what role – if any – each kind of oil played in killing them. Use 2 or 3 tablespoons of the oil and mix it in a quart of water. Target the spray at the point of origin, where you see the ants coming from. Some also use it to get rid of fleas on dogs and cats, but there are no studies related to Siphonaptera (fleas). Research for cockroaches (Blattodea) isn’t promising (40). Vanderbilt University found that if a cockroach (Leucophaea maderae) learned to associate the smell peppermint with food, they would actually prefer it and presumably, seek it out! If they occur, most are mild in nature and resolve themselves after discontinuing, without the need for a intervention treatment. Most of these reactions are uncommon and for several of the listed reactions, rather than cause those problems, peppermint seems more likely to help them. Headaches are a good example of that. Another may be nausea. Based on a study involving 34 patients who underwent cardiac surgery, smelling it after waking was said to be “a viable first line treatment for nausea” (41). There is a published case study of a 40 year old woman who had a “near fatal” peppermint oil overdose from ingestion, not through the skin (42). This occurred in the ER at a hospital in India. She was placed on a ventilator. Fortunately, she did recover and was discharged from the ICU after 36 hours. Essential oils are highly concentrated, which is why it’s so important to follow a manufacturer’s dosage and usage instructions. How common is a peppermint allergy? There is only one case of an anaphylactic reaction to it listed on PubMed (43). It was a 69 year old man. A case study of 4 patients who experienced an allergic reaction to peppermint lip balm has been published (44). They were relatively mild cases of eczematous dermatitis. A case of 54 year old woman who had asthma attacks from exposure to mint, even when it was as benign as Tic Tac candy (45). When used as directed, overall this herb and its extract appear to be safe and well tolerated by most people. Using the Quebec Pregnancy Registry, 3,183 women completed a questionnaire and based on the information they provided, there was no statistically significant links found between low birth weight and the use of certain herbal products (including peppermint) during the last two trimesters of their pregnancy (46). In other words, concerns have been raised but there is not clinical proof that it’s unsafe during pregnancy. Linking cause and effect with any herbal product can be quite difficult, because many pregnant women don’t tell their doctors about using them (48). Peppermint oil for headaches during pregnancy have not been studied, but for nausea and vomiting it has been. For 60 pregnant women tested, it was said to be no better or worse than placebo (49). Even though there is not data to prove it’s unsafe, it has not been studied during pregnancy. For that reason, it would be best to avoid peppermint essential oil while pregnant to veer on the side of caution. There’s no point in gambling with the health of your baby. Whether it’s external or internal use, consult your doctor before using any essential oil. Pharmacies such as CVS, Walgreens, and Rite Aid do not sell essential oils. Stores where to buy peppermint oil include Whole Foods, Sprouts, and some vitamin/nutritional shops. Generally these stores will have a limited selection, as the higher end brands like Young Living, Doterra, Mountain Rose Herbs, etc. are not sold through traditional retailers. Nor have we seen edible forms sold at those places. Be aware that there is a big difference between therapeutic and food grade essential oils. Most “therapeutic grade” are sold for external use only, such as aromatherapy, air diffusers, and some times skin care. Ingesting them is dangerous. They may contain chemical solvent residue or types of essential oils which are not edible or safe when ingested. Young Living Peppermint Vitality – Not to be confused with their other product lines, as this is the only version which they say can be used for culinary and dietary purposes. NOW Foods softgels – A dietary supplement advertised as being an “intestinal comfort formula” containing peppermint, ginger, and fennel oil. I don’t know if it works on spiders and ants but it’s great at keeping hornets wasps and bees away. My kid was allergic to bees and I read somewhere that it was toxic to hornets and yellow jackets so I would put some in a spray bottle and in the fall when they could be really bothersome I’d spray it on the outside kids tables, etc. It worked for about an hour at a time but that’s good enough. Then I planted peppermint in the grass and let it spread in the yard and we never had any nesting or wasps after that.